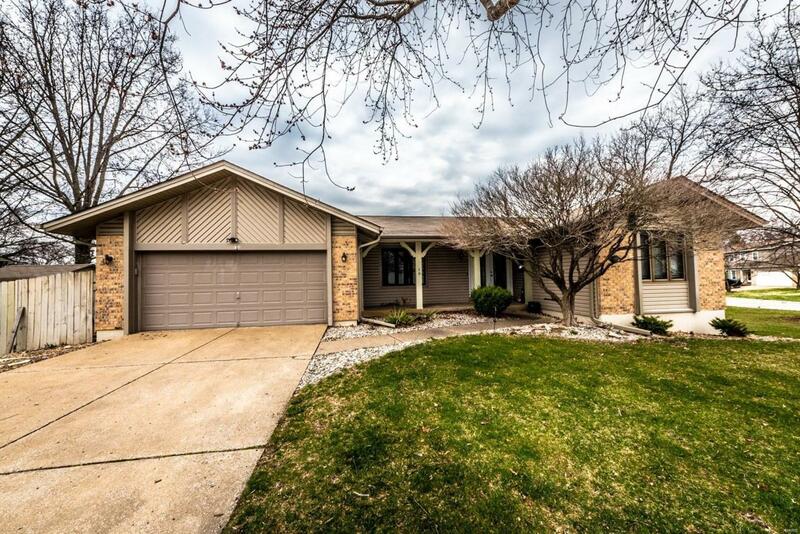 Move-in ready ranch with partial lower level finish in St. Charles on 1/2 acre lot! 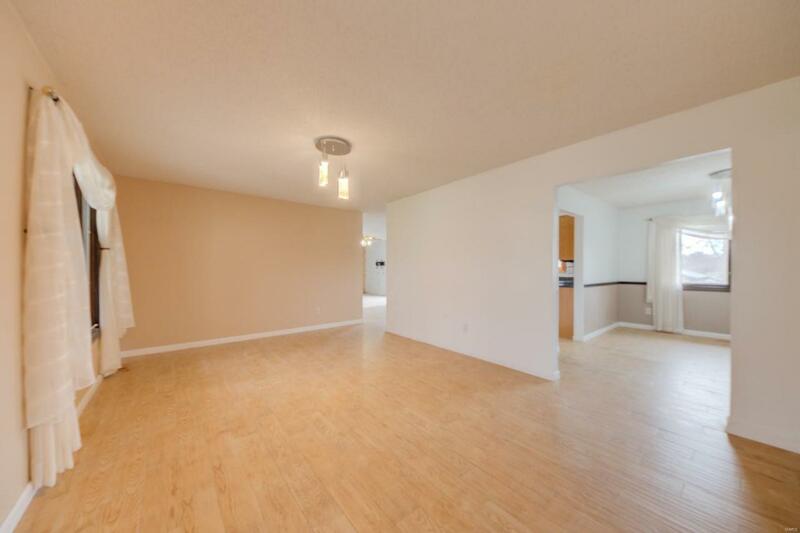 3 bed, 2 full bath 1,753 total sq ft with 1,442 on the main level. 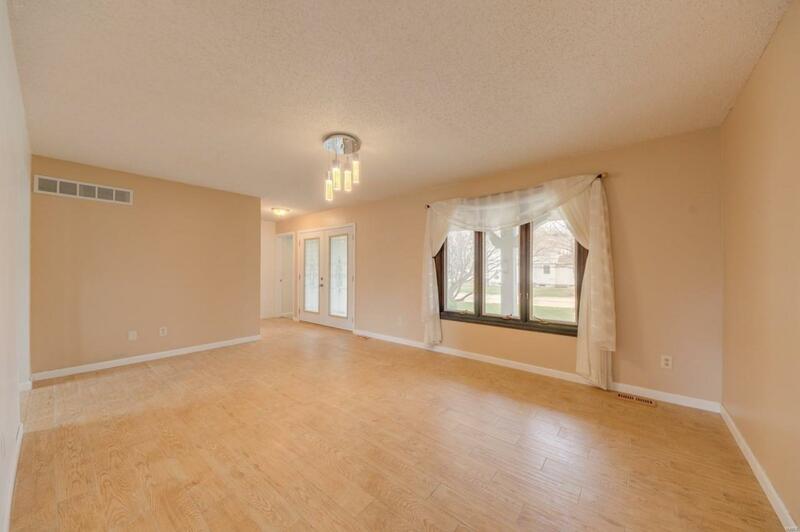 Stunning porcelain tile & custom light fixtures throughout the living room, kitchen, dining room & hallway. Wood burning fireplace in the great room with new accent wood wall. Kitchen updates include SS appliances, backsplash, granite counter-tops & large pantry. Both bathrooms recently updated. NEW main floor laundry added for your convenience. 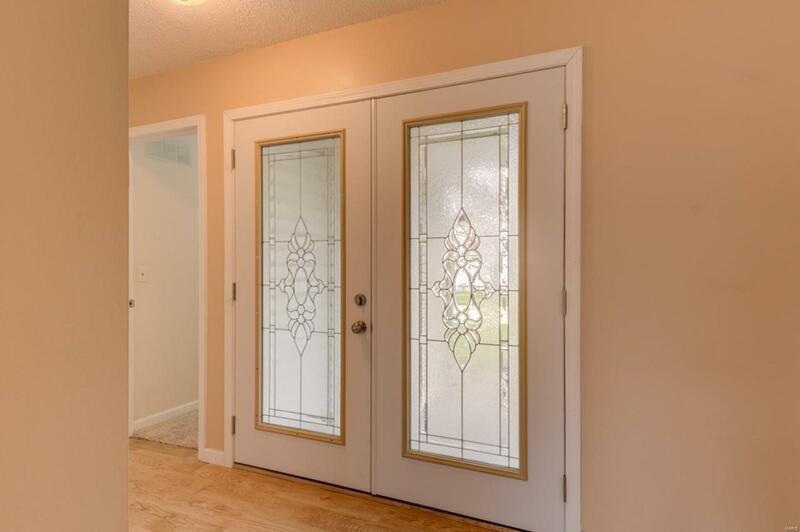 New front entry door. Enjoy the outdoors overlooking the fantastic 0.40 acre lot from either the 16x14 deck or front porch surrounded by mature trees & landscaping plus fencing. You'll enjoy gardening in the fenced area adjacent to the storage shed. Head to the lower level where you'll find the 2 bonus rooms with over-sized walk-in closets great for an office, sleeping area or movie nights along with the water softener and utility sink. Located close to Hwy 364, 94 and the Katy Trail. Cross Street Address Kickshaw Dr.